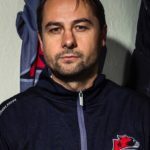 Murrayfield Racers are just two points off top spot in the Scottish National League (SNL) after a hard-fought 7-2 victory over Dundee Tigers on Sunday. Racers got off to a slow start and were duly punished as Grant Reekie fired the visitors ahead inside the first two minutes. However, two quick goals by Rihards Grigors and Michael Ireland midway through the opening period sent the Racers in 2-1 ahead at the first break. Sean Donaldson and Dean Walker made it 4-1 in the middle session, but Tigers refused to lie down and Reekie’s 33rd minute effort brought them back into the game. 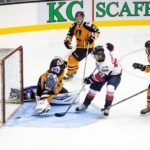 However, the home side stepped things up in the third period, with Grigors, Walker and Ireland all bagging their second goals of the game to complete a 7-2 victory. 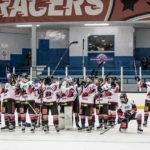 The result leaves Racers level on 15 points with Paisley Pirates and Kirkcaldy Kestrels, with Dundee Comets top of the standings with 17 points. Tony Hand’s side have two games in hand on their rivals and are well-placed to mount a title challenge in the second half of the season. 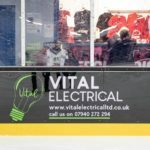 The Racers are back in action on Sunday when they complete their NIHL North Cup fixtures at home to Sheffield Steeldogs.